If you listened to the podcast you will have heard me give a wool shop shout out to Sylvan Tiger Yarns and mention that Katie was going to offer a beautiful skein of yarn to one lucky reader, more on that in a moment! Firstly though, congratulations to Marylin! random.org placed your name first in the Laddow Giveaway from last week. I have passed your email address on to Wool + Bricks – I wanna see that gorgeous sweater when you knit it! 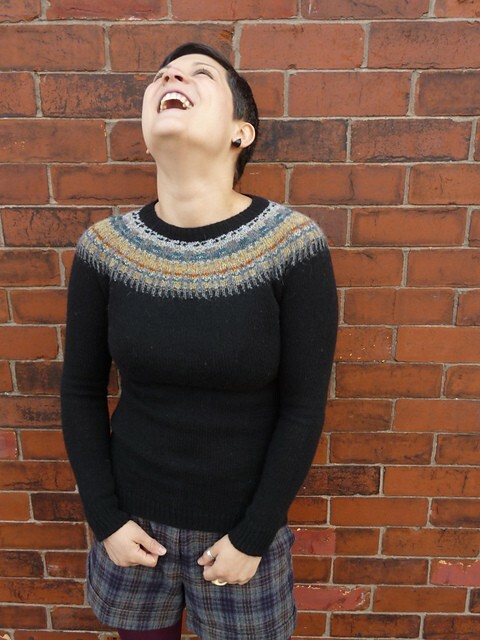 Thanks again to Mirella of Wool + Bricks! 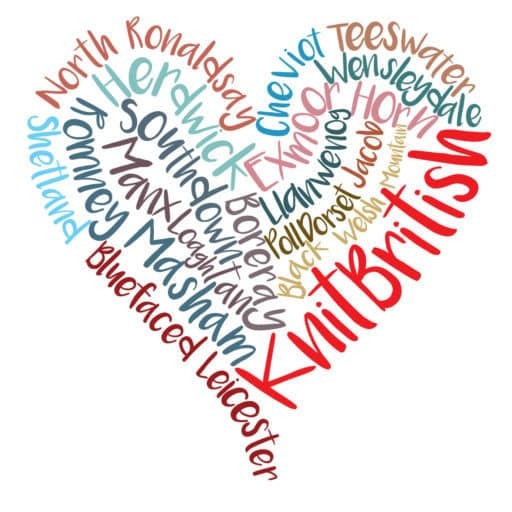 Always keen to make mention of British wool sellers and dyers that you may not be aware of – and who are new to me, too – Katie for Sylvan Tiger received a wool shop shout out on the latest podcast and I mentioned that she had kindly offered a skein of her delightful 4 ply yarn to one lucky KnitBritisher. In case you missed it, Sylvan Tiger is dyer Katie, who is inspired by the colours of her home in Yorkshire. She dyes using natural dyes in extract form, which creates the gentle variations of colour. I am sure you will agree that there is definitely a unique character in the colours. 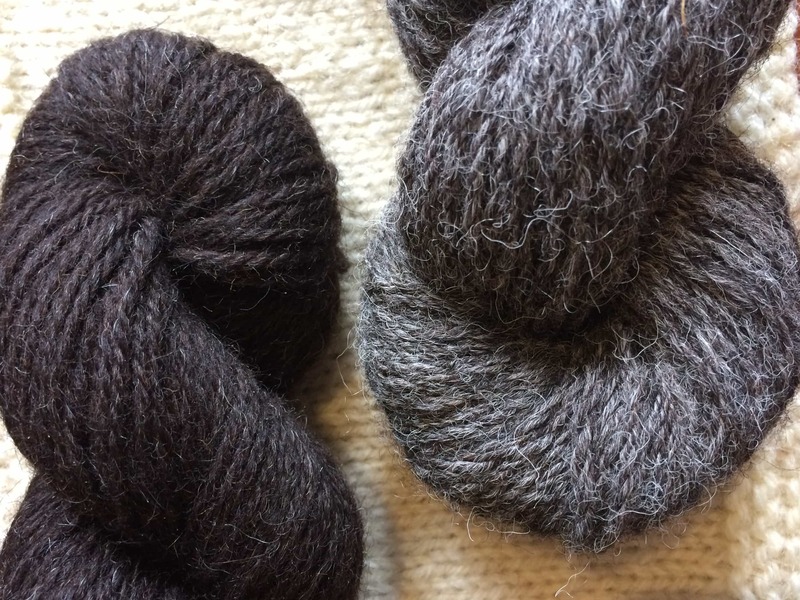 Katie is passionate about sourcing wool from British suppliers and when possible British sheep and in her etsy shop she has 4ply, laceweight and also fibre. 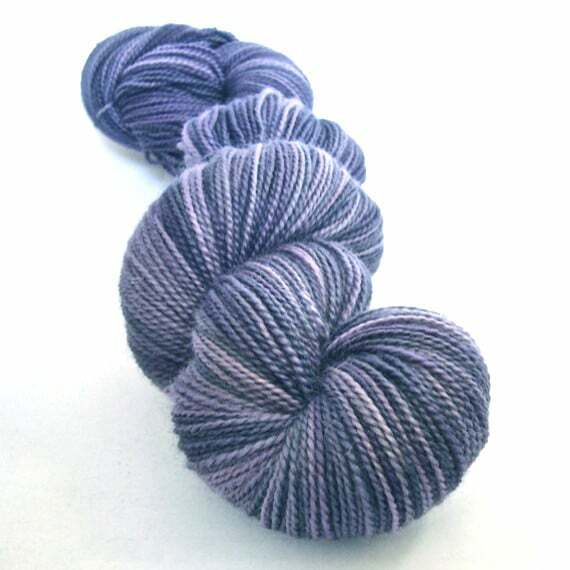 Lavurple is a 4ply weight yarn, 110g/421 yards, and can’t you just feel how smooshy it would be? 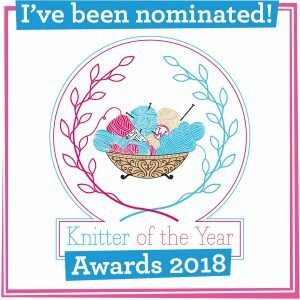 To be in with a chance of winning Lavurple, please comment and tell me which sheep breed is used in the hand-dyed 4 ply yarns and also tell me which other colours jump out at you….Grellow is positively calling to me. Entries will close on Sunday 16th February. I will announce with winner soon after. Please be aware that this competition is open to entrants from the UK only. BFL is used in the 4-ply yarns. I love the brightness of Tangerine. Wool is BFL and I love Lavurple! Kate uses blue Faced Leicester for her 4 ply. Spring is gonna be on it’s way soon, so Leafy Green is on MY mind! Sylvan Tiger uses the world’s best wool Bluefaced Leicester, for her 4-ply yarn. It’s the Lavurple shade that’s calling to me! BFL is used. I love the colours of the Deborah colourway. Gorgeous! It’s Bluefaced Leicester and I love the plummy Deborah! Lovely site – I’ve favourited her for a future order. Her base is bfl and I’m drawn as always to teh rich plummy purples. Thank you for introducing her. The yarn is Bluefaced Leicester and I am struggling to choose my favourite colour! Bring me sunshine probably, although my skin tone would never suit it! Oooh, a new-to-me indie dyer! The fibre is BFL and I love the aqua and tangerine. She is using the wonderful blue faced Leicester as a base and I adore all the colours but my favourite today is Deborah ……. No it’s lavurple…. 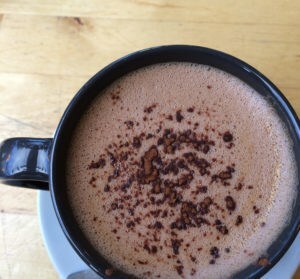 No it’s Deborah …lol thank you of starting to podcast loving it. The sheep breed she uses is BFL. I love Ink and Leafy Green. Katie is using a BFL base for her 4 ply yarn. Although it’s certainly not a colour I’d usually go for I’m loving the Tangerine. I got a new black jacket for Christmas and have been wearing my Elisabeth Zimmerman Pie Shawl (purple) which looks great but I’m tempted to knit it again in a more vibrant colour, would certainly brighten up the winter…..
BFL is the yarn, which is always luscious. Purple is my favourite colour but the “ink” on her etsy site is also gorgeous. The wool base is BFL. and of the other colours I’d have to go for aquatic or chocolate orange! To be honest I would love any of them! I enjoy your blog so much, I’ve learnt so much about wool and it’s really made me think about what I buy and where. BFL is used in the 4-ply yarns. ‘Bring me sunshine’ is wonderful, so lovely and bright. She uses Blue faced Leicester. It’s really hard to pick a colour as there are quite a few that call to me, but I think Forest Deep and Ink are my favourites. Maybe. She uses blue faced Leicester and I think my favourite colour would be Forest Deep – I can never get past green. I haven’t tried socks yet, so will need to get the right type of yarn! BFLIs used and I love Under the Sea. Just beautiful! BFL is used. I think the first one that caught my eye and had me drooling was Deborah, though the Mulberry fibre had me lusting as well. They’re all just gorgeous though. Blue Faced Leicester is a wonderful fibre that Katie uses and it knits like a dream. Sorry. The competition closed yesterday. Keep your eye out though. More giveaways soon.